Biography*: Sheriff of Skye and Harris. Tormod MacLeod, sometimes referred to as Norman MacLeod, (Scottish Gaelic: Tormod MacLeòid, and Tormod mac Leòd) (fl. late 13th century) was a west Highland lord, and son of Leod, the traditional founder and eponymous ancestor of Clan MacLeod. Little is known about Tormod; like his father Leod, he does not appear in any contemporary records. His name is remembered today in the Scottish Gaelic name Sìol Tormoid ("seed of Tormod"), used by a branch of his descendants, the MacLeods of Dunvegan, who are chiefs of Clan MacLeod. Tormod was a son of Leod, the traditional founder and eponymous ancestor of Clan MacLeod. Tormod, just Like his father, does not appear in any contemporary records. The earliest contemporary record to a MacLeod chief dates to the generation after Tormod, during the reign of David II (r. 1329–1371). The Bannatyne manuscript is a traditional history of Clan MacLeod, dating from the early 19th century. It is the main authority for the information on the early chiefs of Clan MacLeod. It makes several references to Tormod and makes him a grandson of Leod. The early 20th-century historian R.C. MacLeod thought it possible that Tormod had a father also named Tormod, who died before Leod. MacLeod stated that this father married the daughter of an Irish chieftain named M'Crotan. The current view by modern historians is that Tormod was, however, not a grandson, but the son of Leod. The Bannatyne manuscript states that Tormod was considered to be one of the greatest soldiers of his era; that it was said he fought at the Battle of Bannockburn. It relates that Tormod held the office of sheriff of Skye, and of "the Long Island". It describes how Tormod lived to a great age and was traditionally said to have had a white beard, which was so long that he had to tuck it into his girdle. The manuscript rounds out Tormod's life by stating that he died at his castle on Pabbay and was buried alongside his grandfather at Iona. [S927] F.S.A., Scot Alexander MacKenzie, History of the MacLeods, page 11. Biography*: Heritable Sheriff of Skye under the Kings of Man. Son of king Ivar the Old of Norway. Tradition continues that Leod/Ljotr was foster-child of Paul Baalkeson. Leod succeeded to Sleat. Waternish and Snizort in Skye and to Harris and North Uist. From his father Leod received Glenelg on the mainland and part of the Lewes and also acquired Gairloch. Trotternish. A descendant of Ragnar Lothbrok (d c 854). Eponymous ancestor of the MacLeods. Daughter and heiress of Harald of Dunvegan. Recent research has shown that LJOTR (the Norse spelling with a silent ‘r') was son of Olvir Rosta (named in the Orkneyinga Saga) by Helga of the beautiful hair. In 1225 was son by his first wife of Olaf the Black, King of Man & the Isles. In 1231 and when Paul died without legitimate issue. Leod (Scottish Gaelic: Leòd; Old Norse: Ljótr) (c.1200–1280) is considered the eponymous ancestor and founder of Clan MacLeod and Clan MacLeod of Lewis. Almost nothing is known about him and he does not appear in any contemporary records. Tradition dating to the late 18th century made him a son of Olaf the Black who was King of Man (r. 1225–1237). Heraldic evidence, dating to the late 17th century, is considered to be the earliest evidence of descent from Olaf the Black. However, in recent years, this traditional lineage has been challenged and is no longer considered fact by historians. [S927] F.S.A., Scot Alexander MacKenzie, History of the MacLeods, page 5. [S746] Wikipedia, online http://Wikipedia.com, https://en.wikipedia.org/wiki/Fearchar,_Earl_of_Ross. [S927] F.S.A., Scot Alexander MacKenzie, History of the MacLeods, page 6. [S927] F.S.A., Scot Alexander MacKenzie, History of the MacLeods, page 7. Biography*: Torquil 'Conanach' MacLeod is the son of Roderick Macleod, 10th of the Lewes and Janet Mackenzie. He married Margaret Macdonald, daughter of Angus Macalister Macdonald, 7th of Glengarry and Margaret MacLeod. Biography*: Colin Mackenzie of Kintail (died 14 June 1594), nicknamed “Cam” (“crooked”, because one-eyed), was a Highland chief of the Scottish clan Mackenzie who greatly increased his ancestral estates through royal favour and a career of vigorous self-aggrandisement. Mackenzie was the second, but eldest surviving, son of Kenneth Mackenzie, 10th of Kintail (died 6 June 1568) and Lady Elizabeth Stewart, the daughter of John Stewart, 2nd Earl of Atholl. The Mackenzies were a clan from Ross-shire that had risen to prominence in the 15th century during the disintegration of the Lordship of the Isles. Mackenzie fought for Mary, Queen of Scots, at the Battle of Langside in the year 1568 where she was defeated and forced into exile. He subsequently became a favourite of her son King James. According to his descendant the Earl of Cromartie, "there was none in the North for whom the King hade a greater esteem than for this Colin. He made him one of his Privie Councillors, and oft tymes invited him to be nobilitate [ennobled]; but Colin always declined it, aiming rather to have his familie remarkable for power, as it were, above their qualitie than for titles that equalled their power." According to the Origines Parochiales Scotiae, "in 1570 King James VI granted to Coline Makcainze, the son and apparent heir of the deceased Canzeoch of Kintaill, permission to be served heir in his minority to all the lands and rents in the Sheriffdom of Inverness, in which his father died last vest and seised. In 1572 the same King confirmed a grant made by Colin Makcanze of Kintaill to Barbara Graunt, his affianced spouse, in fulfilment of a contract between him and John Grant of Freuchie, dated 25 April 1571, of his lands of Climbo [Claonaboth], Keppach [Keppoch], and Ballichon, Mekle Innerennet, Derisduan [Dorusduain] Beg, Little Innerennet, Derisduan [Dorusduain] Moir, Auchadrein, Kirktoun, Ardtulloch, Rovoch, Quhissil, Tullych, Derewall and Nuik, Inchchro, Morowoch, Glenlik, Innersell and Nuik, Ackazarge, Kinlochbeancharan [Loch Beannacharain], and Innerchonray, in the Earldom of Ross, and Sheriffdom of Inverness. In 1574 the same Colin was served heir to his father Kenneth McKeinzie in the davach of Letterfernane, the davach of Glenshall, and other lands in the barony of Ellendonane of the old extent of five marks." In 1570 a quarrel broke out between the Mackenzies and the Munros. John Lesley, the celebrated Bishop of Ross, who had been secretary to Queen Mary, dreading the effect of public feeling against prelacy in the North, and against himself personally, made over to his cousin Leslie of Balquhair, his rights and titles to the Chanonry of Ross, together with the castle lands, in order to divest them of the character of church property, and so save them to his family. Notwithstanding this grant, the Regent Moray gave the custody of the castle to Andrew Munro of Milntown, a rigid presbyterian, and in high favour with Moray. Moray promised Leslie some of the lands of the barony of Fintry in Buchan as an equivalent but died before this arrangement was carried out. But Leslie ultimately obtained permission from the Earl of Lennox, during his regency, and afterwards from the Earl of Mar, his successor in that office, to get possession of the castle. Wishing to obtain the castle for themselves, the Mackenzies purchased Leslie's right, by virtue of which they demanded delivery of the castle. When this was refused by the Munros, Mackenzie embarked on a lengthy campaign to take the castle by force. The Munros held out for three years, but eventually capitulated. They continued on bad terms with the Mackenzies for many years thereafter. In 1580 a quarrel broke out between the Mackenzies and the Macdonells of Glengarry. The Chief of Glengarry had inherited part of Lochalsh, Lochcarron, and Lochbroom, from his grandmother, Margaret, one of the sisters and co-heiresses of Sir Donald Macdonald of Lochalsh, and granddaughter of Celestine of the Isles. Colin’s father, Kenneth Mackenzie, had acquired the other part by purchase from Dingwall of Kildun, son of the other co-heiress of Sir Donald, on 24 November 1554, and Queen Mary had confirmed the grant by Royal charter. The friction arising from this close proximity between Mackenzie and Macdonell erupted into an open feud, in the course of which Ruairi Mackenzie of Redcastle (Colin's brother) invaded Glengarry's lands with 200 men: Macdonell himself was taken prisoner and his three uncles murdered. In 1582 Macdonell complained to the Privy Council, who, investigating the matter, caused Strome Castle, which Macdonald yielded to Mackenzie as one of the conditions of his release, to be placed under the temporary custody of the Earl of Argyll. According to the records of the Privy Council, Kintail himself was detained at Blackness Castle in open ward to answer such charges as might be brought against him. Whatever Colin’s personal involvement in the murders may have been, his relationship with James VI did not fail him and, in 1586, the King granted a remission to "Colin McKainzie of Kintaill and Rodoric McKainzie of Auchterfailie" (Redcastle), "his brother, for being art and part in the cruel murder of Rodoric McAllester in Stroll; Gorie McAllester, his brother, in Stromcraig; Ronnald McGorie, the son of the latter; John Roy McAllane vic Allester, in Pitnean; John Dow McAllane vic Allester, in Kirktoun of Lochcarroun; Alexander McAllanroy, servitor of the deceased Rodoric; Sir John Monro in Lochbrume; John Monro, his son; John Monro Hucheoun, and the rest of their accomplices, under silence of night, upon the lands of Ardmanichtyke, Dalmartene, Kirktoun of Lochcarroun, Blahat, and other parts within the baronies of Lochcarroun, Lochbrume, Ros, and Kessane, in the Sheriffdom of Innerness," and for all their other past crimes. 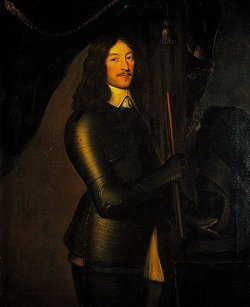 Colin’s brother, Rory “Mor” Mackenzie of Redcastle was also involved in an episode that occurred in the course of the Earl of Huntly’s pursuit of a commission of fire and sword against Mackintosh of Mackintosh. Mackintosh was married to the Mackenzies’ sister, which led Colin to send a message to Huntly requesting that she be politely treated. When Huntly returned an abrupt and discourteous response, Colin sent a force of 400 men under Rory to overtake him. The size of Mackenzie’s forces and the speed with which they had been assembled and deployed apparently dissuaded Huntly from pursuing his commission further. A career like Mackenzie’s did not leave him without enemies and the records of the Privy Council are full of the complaints made by those aggrieved by him, including (for example) Christian Scrymgeour, widow of the Bishop of Ross, Henry, Lord Methven, Macdonell of Glengarry, Hugh Fraser of Guisachan, “the united burghs of the realm” and James Sinclair (the Master of Caithness). However, it is clear that Mackenzie was a masterful navigator of the treacherous waters of 16th century Scottish politics. On 27 July 1588, he was appointed by a Convention of the Estates as a member of a Commission, charged with powers for executing the laws against Jesuits, Papists, and other delinquents, and with other extensive powers. On 24 May 1589, he was named as the Commissioner for Inverness-shire who was to convene the freeholders of the county for choosing the Commissioners to a Parliament to be held at Edinburgh on 2 October in that year. He was, along with Simon Lord Lovat, John Grant of Grant, Lachlan Mackintosh of Mackintosh, Ross of Balnagown, Hector Munro of Fowlis, and others, chosen an assistant Commissioner of justiciary for the counties of Elgin, Nairn, and Inverness, in March 1592-93. He was appointed a member of the Privy Council in June 1592, but he appears not to have accepted the office on that occasion. However, he accepted the position soon after, for it is recorded under date of 5 July 1593, that "Colin Mackenzie of Kintail being admitted of the Privy Council gave his oath," in common form. In addition to his acquisitions in Lochalsh and Lochcarron, Colin (according to the Earl of Cromartie) "feued the Lordship of Ardmeanach, and the Barony of Delnys, Brae Ross, with the exception of Western Achnacherich, Wester Drynie, and Tarradale, which Bayne of Tulloch had feued before, but found it his interest to hold of him as immediate superior, which, with the former possessions of the lands of Chanonry, greatly enhanced his influence. Albeit his predecessors were active both in war and peace, and precedent in acquiring their estate; yet this man acquired more than all that went before him, and made such a solid progress in it, that what he had acquired was with the goodwill of his sovereign, and clear unquestionable purchase." Colin obtained a charter of the barony of Assynt on 20 January 1591/2 (resigned by his nephew, Torquil Macleod) and a charter of the church lands of Applecross and others on 4 February 1591/2. Kenneth succeeded his father and was afterwards elevated to the peerage as the first Lord Mackenzie of Kintail. Roderick of Coigeach (c.1574-1626) became the "Tutor of Kintail" and was progenitor of the Earls of Cromartie. He married (contract 6 May 1605) Margaret, daughter and coheiress of Torquil Macleod of Lewis. Colin (died May 1650), of Killin, married first Catherine Macleod and secondly Isobel, daughter of John Mackenzie Yr. of Gairloch. Alexander married first (contract 15 August 1611) Jean, daughter of Sir Thomas Fraser of Strichen and widow of Sir James Stewart of Kilcoy, through whom he had a grant of Kilcoy on 29 January 1618. Catherine (died May 1593) married (at Dingwall in December 1589) Simon Fraser, 6th Lord Lovat. Janet married Hector Og Maclean. Mary married Sir Donald Gorm Macdonald of Sleat. Colin also had an illegitimate son, Alexander (died March 1650), by Margaret, daughter of Roderick Mackenzie of Davochmaluag. Alexander was the founder of the Mackenzies of Applecross and the Mackenzies of Coul. [S742] The Peerage, online thepeerage.com, Lady. [S816] M.A., D.D., F.S.A James Taylor, The Great Historic Families of Scotland, The MacKenzies of Seaforth. [S506] Robert Joseph Gillis, Two Gillis Families, page 31. Death*: Barbara Grant died in 1573 in Scotland. [S822] Walter MacFarlane of that Ilk MacFarlane's Genealogical Collections Vol. I, page 111. [S742] The Peerage, online thepeerage.com. Biography*: John Mackenzie of Kintail was born possibly illegitimately. He married Elizabeth Grant, daughter of John Grant, 2nd of Freuchie. He died in 1561. He successfully resisted a challenge to his legitimacy by his uncle Hector. In 1491 allegedly legitmated by Pope Alexander VI, but no proof survives. In 1508 he had a Crown Charter creating the territorial Barony of Eileandonnan. John Mackenzie (c.1480-c.1561), or "John of Killin", traditionally reckoned 9th of Kintail, was a Highland chief, being head of the Clan Mackenzie. John was the son of Kenneth Mackenzie, 7th of Kintail (d.1492) by his second wife, or reputed wife, Agnes Fraser. The Mackenzies' origins lay in the Northwest Highlands, but the centre of their power had by the end of the 15th century shifted to Easter Ross. John succeeded his half-brother, Kenneth (died 1498-99) in the chiefship while still a minor. It is likely that he achieved his majority in 1501, which suggests that he was born in about 1480. John is said to have been sent to be educated at Court in Edinburgh (pursuant to an Act of 1496, a legal requirement for boys in his station of life). However, the terms of a bond subscribed by him in favour of the Earl of Huntly suggest that he remained illiterate. "...for the wrongous intromitting, uptaking, and withholding from him of the mails 'fermez', profits, and duties of all and whole the lands of Kintail, with the pertinents lying in the Sherrifdom of Inverness, for the space of seven years together, beginning in the year of God 1501, and also for the space of two years, last bye-past, and for the masterful withholding from the said John Mackenzie of his house and castle of Eilan Donan..."
"The Lords of Council decree and deliver, that the said Hector has forfeited the keeping and constabulary of the said castle of Eilean Donan, together with the fees granted therefor... and the said John Mackenzie to have free ingress and entry to the said castle..."
Although John and Hector Roy appear ultimately to have made their peace, hostilities flared up again in the next generation. Hector Roy's son, John Glassich Mackenzie, is said to have renewed his father's claim to some or all of the clan's lands and died in mysterious circumstances in Eilean Donan. In 1551, John Mackenzie (9th of Kintail) and his son received a remission for his imprisonment. In April 1500 Mackenzie obtained a precept of clare constat (a feudal superior's confirmation of his vassal's entitlement to an estate) for Kintail and other lands from James Stewart, Duke of Ross. In 1504 he asserted an hereditary right to Meyne, Escadell [Eskadale] and other lands in Ross-shire. He is recorded also as having been a tenant of Kynellane [Kinellan], Scatell Mekill [Greater Scatwell], Scatell Beg [Lesser Scatwell], Kilquilladrum and Mylne of Coulle [mill of Coul]. On 25 February 1508/9 he had a charter of Kintail, Eilean Donan and other lands, incorporated in a free barony of Eilean Donan. There is plentiful documentary evidence of Mackenzie's success over the years in expanding his estates. In 1526 he was infeft with his wife in the lands of Fothirte, Strathgarvy and Killyn [Killin]. He had charters of Killequhildrum on 25 September 1528, of Fotherty [Fodderty] on 25 May 1532, of Kinlochbanquhorie on 30 August 1538, of Laggan on 12 December 1540, of Meklebrawane on 15 September 1541, of Monare on 22 October 1542 and of Lochbryne (with his wife, in excambion for Fodderty) in 1543. In 1544 he acquired half of Culteleod [Castle Leod] and Drynie from Magnus Mowat and Patrick Mowat of Bugholly and in January 1547 he acquired a wadset of the other half of those lands from Denoon of Davidston. In 1556 he acquired the heritage of Culteleod and Drynie from Denoon, which was confirmed to him by Queen Mary on 13 July 1556. A number of grants were also made during his life to his son and heir, Kenneth. These territorial accretions reflected both the travails of Mackenzie's competitors and the full part played by him in the public life of his time. He fought at the Battle of Flodden Field on 9 September 1513 and is said in the traditional account to have been taken prisoner and to have subsequently escaped. Be that as it may, Mackenzie was soon after appointed a lieutenant or guardian of Wester Ross in response to Sir Donald Macdonald of Lochalsh's arrogation of the Lordship of the Isles. In 1515, he seized the royal castle at Dingwall, but professed his willingness to surrender it to anyone appointed by the Regent, the Duke of Albany. In 1532, he was included in a commission by James V for suppressing disorder among the Clan Mackintosh. On 13 December 1545, at Dingwall, the Earl of Sutherland entered into a bond of manrent with Mackenzie for mutual defence against all enemies, reserving only their allegiance to Queen Mary. Two years later, although by then an old man, he joined the muster called by the Earl of Arran at Musselburgh for the Queen's protection and took part in the Battle of Pinkie Cleugh, where he was again captured - and on this occasion released, after the payment of a considerable ransom. Mackenzie died in 1561 and was buried at Beauly Priory. [S746] Wikipedia, online http://Wikipedia.com, http://en.wikipedia.org/wiki/Kenneth_Mackenzie,_7th_of_Kintail. [S746] Wikipedia, online http://Wikipedia.com, http://en.wikipedia.org/wiki/John_Mackenzie,_9th_of_Kintail. Kenneth was the eldest son of Alexander Mackenzie of Kintail (d.1488). The weight of traditional clan histories identifies Anna Macdougall as his mother, but this is rendered difficult by Alexander's supplication for dispensation in 1466, which recorded that he, Alexander, had been married for about thirty years to "Catherine, daughter of John, son of Ranald". Although traditionally identified as the 7th chief of the Kintail line, Kenneth was in fact only the second (after his father) of whom incontrovertible contemporary evidence survives. Kenneth had a tack from the Crown before 1479 of Ardovale (Ardival), near Strathpeffer, and appears repeatedly in records as refusing to pay the fermes (feudal payments) for his land and defying the Crown's officers. In 1486 he also had a charter from the Earl of Ross of the lands of Meyne, the two Scatwells (Meikle and Little), Innermany (Invermeinie), Inverchoran, and Kinloch Beannacharain. At some point between 1485 and 1491, Kenneth led a force of Mackenzies to victory over Alexander Macdonald of Lochalsh at the Battle of Blar Na Pairce. He was served heir to his father in the lands of Kintail on 2 September 1488, at Dingwall, but died less than four years later on 7 February 1492. He was buried at Beauly Priory, where his tomb may still be found. [S822] Walter MacFarlane of that Ilk MacFarlane's Genealogical Collections Vol. I, page 60. Biography*: Alexander Mackenzie (before 1436 - after 1471), known as “Ionraic” (or “the Upright”), traditionally counted as 6th of Kintail, was the first chief of the Clan Mackenzie of whom indisputable contemporary documentary evidence survives. During his long life, he greatly expanded his clan’s territories and influence. There is little authority for the existence and life of Alexander which pre-dates the (frequently unreliable) clan histories written in the 17th century. MS 1467, a 15th-century genealogy, demonstrates that the Mackenzies were by then already recognised as a family of long standing, but does not refer to Alexander himself. According to Mr. P. J. Anderson (Scots Peerage, vol. vii. p. 497) he had a charter of Killin and other lands from the Earl of Ross in 1463, and a crown charter in 1477 of Strathconan and other lands forfeited by the Earl. But the authority cited is only an Inventory of the Allangrange Papers. He does not appear in the Register of the Great Seal or other public records. However, the inventory recording the charter of 1463 (a list of the charters in the possession of Colin Mackenzie, 1st Earl of Seaforth) has been in existence since about 1627 and its authenticity is implicitly accepted by Aonghas MacCoinnich. In any event, although the existence and terms of these two charters may be doubtful, it is established that “Alexander McKennye de Kintail” did witness a charter executed by John of Islay, Earl of Ross at Dingwall in 1471. He also appears in a papal marriage dispensation dated 13 September 1465, which was granted to his son, who was styled as “Kenneth, son of Alexander, family of Kenneth”. In the following year, Alexander himself sought dispensation in terms which recorded that he had been married to "Catherine, daughter of John, son of Ranald" for about thirty years and that they had offspring. According to the traditional clan genealogy, Mackenzie was the son of Murdoch Mackenzie (5th of Kintail) and Finguala, daughter of Malcolm Macleod of Harris. He was allegedly among the Western barons summoned to Inverness in 1427 to meet King James, who promptly seized them on arrival, executing some and imprisoning others. The king sent Mackenzie, then a mere youth, to the High School at Perth, regarded at that time as the principal literary seminary in Scotland. According to traditional histories of the Clan Macrae, he was prevailed upon by Fionnla Dubh mac Gillechriosd to return from school in order to deal with three illegitimate uncles, who were disturbing his tenants in Kinlochewe. In the long-running conflict between the Lord of the Isles and the Scottish crown, Mackenzie chose the side of the latter. The course of events, as they affected Mackenzie, is allegedly summarised in the two charters in his favour which are referred to above. On 7 January 1463, Mackenzie received a charter from John of Islay, Earl of Ross, confirming him in his lands of Kintail, with a further grant of the "5 merk lands of Killin, the lands of Garve, and the 2 merk lands of Coryvulzie, with the three merk lands of Kinlochluichart, and 2 merk lands of Ach-na-Clerich [Achnaclerach], the 2 merk lands of Garbat, the merk lands of Delintan, and the 4 merk lands of Tarvie, all lying within the shire and Earldom of Ross, to be holden of the said John and his successors, Earls of Ross." However, in 1462, John of Islay had over-reached himself by entering into a treacherous agreement with Edward IV of England and Mackenzie later played a significant part in the negotiations between John of Islay and James III that led to the former’s surrender of the Earldom of Ross in 1476. Mackenzie was rewarded in 1477 with a charter from the Crown to some of the lands renounced by the Earl of Ross, namely Strathconan, Strathbraan, and Strathgarve, and was confirmed in his lands in Kintail. It was probably at this point that Mackenzie moved his family's chief residence from Eilean Donan in Kintail to Kinellan Castle, near Strathpeffer. After this the Barons of Kintail held all their lands quite independently of any superior but the Crown. At some point between 1485 and 1491, Mackenzie’s son Kenneth led the Mackenzies to victory over Alexander Macdonald of Lochalsh at the Battle of Blar-na-Pairc. This battle may be regarded as a seal upon the rise of the Mackenzies at the expense of their former Macdonald overlords. The Earl of Sutherland had been on friendly terms with Mackenzie, and appointed him as his deputy in the management of the Earldom of Ross, which devolved on him after the forfeiture. On one occasion, the Earl of Sutherland being in the south at Court, the Strathnaver men and the men of the Braes of Caithness took advantage of his absence and invaded Sutherland. It is said that an account of their conduct soon spread abroad, and reached the ears of the Chief of Kintail, who at once with a party of six hundred men, passed into Sutherland, where, the Earl's followers having joined him, he defeated the invaders, killed a large number of them, forced the remainder to sue for peace, and compelled them to give substantial security for their peaceful behaviour in future. “…as his prudent management in the Earldom of Ross showed him to be a man of good natural parts, so it very much contributed to the advancement of the interest of his family by the acquisition of the lands he thereby made; nor was he less commendable for the quiet and peace he kept among his Highlanders, putting the laws punctually in execution against all delinquents." Mackenzie also involved himself in the affairs of his neighbours. According to the Earl of Cromartie, he intervened to assist Allan Macdonald of Moidart (with whom he had previously been at loggerheads) against Allan’s brother, who had usurped some of the Moydart estates, and there are also traditional accounts of his involvement in about 1452 in the Battle of Bealach nam Broig between a western force of MacIvers, Maclennans, Macaulays and Macleays against a force of Frasers, Munroes of Foulis and Dingwalls of Kildun. Alexander was the first of the family who lived on the island in Loch Kinellan, near Strathpeffer, while at the same time he had Brahan as a mains or farm, both of which his successors for a time held from the King at a yearly rent, until they were later feued. Alexander’s marriages have been the subject of genealogical controversy. The weight of traditional clan history is to the effect that he married, first, Anna, daughter of John Macdougall of Dunollie, and, secondly, Margaret, daughter of Macdonald of Morar (a cadet of Macdonald of Clanranald), but Aonghas MacCoinnich has pointed out the difficulties which Alexander's supplication for dispensation in 1466 presents for the traditional account. MacCoinnich speculates that Catherine, who was recorded in the supplication as Alexander's wife, may have been the grand-daughter of Ranald, the eponym of Clanranald. By his first wife, Alexander had Kenneth, his heir and successor, and Duncan, progenitor of the Mackenzies of Hilton. By his second wife (if he had one), he had Hector Roy (or “Eachainn Ruadh”), from whom are descended the Mackenzies of Gairloch, and a daughter who married Allan Macleod, Hector Roy’s predecessor in Gairloch. He is also said to have had a natural son (or, in some sources, a brother), Dugal, who became a priest and was Superior of Beauly Priory, which he repaired about 1478, and in which he is buried. [S861] Ancestry.com, online www.ancestry.com, 0861 - 7817 - Alexander MacKenzie.docx. Biography*: He was created 1st Earl of Atholl [Scotland] circa 1457. He was created 1st Lord of Balveny [Scotland] in 1460. He held the office of Scottish Ambassador to England in 1484. He was the oldest child of Joan Beaufort, widowed Queen of James I of Scotland, and her second husband Sir James Stewart, the Black Knight of Lorn. He was created Earl of Atholl in around 1457, the first Earl of the eighth creation of the title. He is believed to have had a hand in suppressing the rebellion of John Macdonald, 11th Earl of Ross, the last of the Lords of the Isles. According to legend, the Earl of Atholl had whisky, honey and oats added to Macdonald's water well, which so entranced or intoxicated him that Macdonald was easily captured. The mixture became a drink named Atholl Brose. Stewart was buried in Dunkeld Cathedral in Perthshire. [S861] Ancestry.com, online www.ancestry.com, 0861 - 7823 - Lady Jane Beaufort.docx. [S746] Wikipedia, online http://Wikipedia.com, http://en.wikipedia.org/wiki/Margaret_Douglas,_Fair_Maid_of_Galloway. [S861] Ancestry.com, online www.ancestry.com, 0861 - 7821 - Eleanor Sinclair.docx. [S746] Wikipedia, online http://Wikipedia.com, http://en.wikipedia.org/wiki/John_Stewart,_1st_Earl_of_Atholl. Biography*: The Black Knight of Lorn's father, Sir John Stewart (d. 26 Apr 1421), was ambassador to England and was married to Isabel MacDougall (d. 21 Dec 1439), heiress to the House of Ergadia, the senior line descending from Somerled, King of Mann and the Isles. He was a direct male line descendant of Alexander Stewart, 4th High Steward of Scotland, through his second son Sir John Stewart of Bonkill, who was killed at the Battle of Falkirk. His mother was also a descendant of Robert I of Scotland through his second marriage to Elizabeth de Burgh. James was a younger brother of Robert Stewart, 1st Lord Lorne (1382-1449), whose descendants bore this title. He was an ally of the Black Douglases, Earls of Douglas. After the murder of James I of Scotland in 1437, power was held by Archibald Douglas, 5th Earl of Douglas as regent for the underage James II of Scotland. The Stewarts of Lorne were amongst his most trusted supporters, and their power greatly increased while the Douglas family controlled Scotland and the king was a mere 7 years of age. However the unexpected death of the 5th Earl of Douglas from a fever in 1439 saw power now being uneasily shared between William, 1st Lord Crichton, Chancellor of Scotland and Sir Alexander Livingston, Governor of Stirling Castle. Stewart and his Douglas allies now plotted to overthrow the new government. They planned to kidnap the young James II who was being held by Livingstone in his stronghold of Stirling Castle. Their intentions if the plan succeeded is not known, but it was during this time that Stewart married the Dowager Queen, Joan Beaufort, and became stepfather to James II. Whether or not he intended to merely become regent or he intended to usurp the crown through his own legitimate descent from Robert the Bruce is one of the more interesting questions of this period in Scottish history. However, Livingston arrested Lady Joan on 3 Aug 1439, imprisoning her in Stirling Castle, while throwing Sir James and his brother Sir William into its dungeon. They were later released on good behaviour. He was given safe conduct to England in 1445, 1447, and 1451. He was supposedly captured at sea by Flemish pirates and put to death after 1451. [S746] Wikipedia, online http://Wikipedia.com, http://en.wikipedia.org/wiki/Sir_James_Stewart,_the_Black_Knight_of_Lorn. Biography*: As a result of her marriage, Lady Joan Beaufort was styled as Queen Consort Joan of Scotland on 2 May 1424. As a result of her marriage, Lady Joan Beaufort was styled as Queen Dowager Joan of Scotland in 1437. She was a daughter of John Beaufort, 1st Earl of Somerset, and Margaret Holland and half-niece of King Henry IV of England. Joan was named after her aunt, Joan Beaufort, Countess of Westmorland. James of Scotland fell in love with her during his time as a prisoner in England (1406–1424). She is said to have been the inspiration for James's famous long poem, The Kingis Quair, written in his captivity after he saw her from his window in the garden. The powerful Beauforts put pressure on Henry V to release him so they could get married. Queen Catherine also urged him to do so. Discussions were held, and it was decided that her dowry would be subtracted from his ransom. On 2 February 1424 at Southwark Priory (now Southwark Cathedral), Joan married James I. They were feasted at Winchester Palace that year by her uncle Cardinal Henry Beaufort. She joined him on his return from captivity to Scotland that year. At his coronation at Scone, when James received the allegiance of his Tenants-in-chief, he had them swear their allegiance to Joan as well, as if she was a co-monarch. 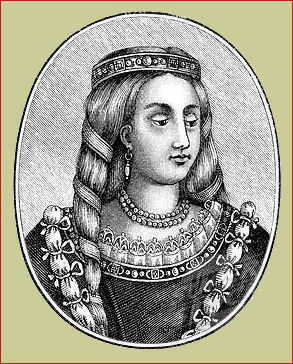 As queen, she often pleaded with the king for those who might be executed. The royal couple had eight children, including the future James II, and Margaret of Scotland, spouse of Louis XI of France. After James I was assassinated at the Dominican Friary in Perth in 1437, Joan took over the regency for her son: she had also been a target of assassination along with her husband, but escaped, injured, from the place where it happened. She took custody of her son, now James II, and assumed the regency. The prospect of being ruled by an English woman was unpopular and the Earl of Douglas was thus appointed co-regent. She held the side of Robert II's family responsible for murdering James I killed, protecting her and her son's position. She was Regent for two years. To avoid the dominance of William Crichton, Joan left Edinburgh for Stirling Castle and the protection of Alexander Livingston. When Crichton and Livingston made peace, she allied herself with Sir James Stewart, the Black Knight of Lorn. On 21 September 1439, she married Stewart after obtaining a papal dispensation for both consanguinity and affinity. James was an ally of the latest Earl of Douglas, and plotted with him to overthrow Alexander Livingston, governor of Stirling Castle, during the minority of James II of Scotland. Livingston arrested Joan on 3 Aug 1439, imprisoned her in Stirling castle and threw James and his brother William into its dungeon. James and William were later released on parole. Joan was released after her resignation as regent. She died in 1445 and was buried alongside her husband in the Carthusian Priory at Perth, which he had founded. [S746] Wikipedia, online http://Wikipedia.com, http://en.wikipedia.org/wiki/Joan_Beaufort,_Queen_of_Scotland. [S746] Wikipedia, online http://Wikipedia.com, http://en.wikipedia.org/wiki/Margaret_Stewart,_Dauphine_of_France. [S746] Wikipedia, online http://Wikipedia.com, https://en.wikipedia.org/wiki/Joan_Stewart,_Countess_of_Morton.